The latest supply chain rumors add to claims that Apple is planning to launch a new MacBook Air with a high-resolution Retina display later this year, bringing the same pixel-packing power already found in the company's MacBook Pro lineup. The report comes on the heels of a separate rumor that suggested Apple is planning to launch a 12-inch fan-less MacBook with a 12-inch Retina display. Given that the current MacBook Air models sport screen sizes of 11.6 and 13.3 inches, it's possible that this new, ultrathin model could be a successor to both, simplifying the MacBook Air lineup with a single Retina display model. Rumors of a new MacBook with a 12-inch Retina display continue to pick up steam. 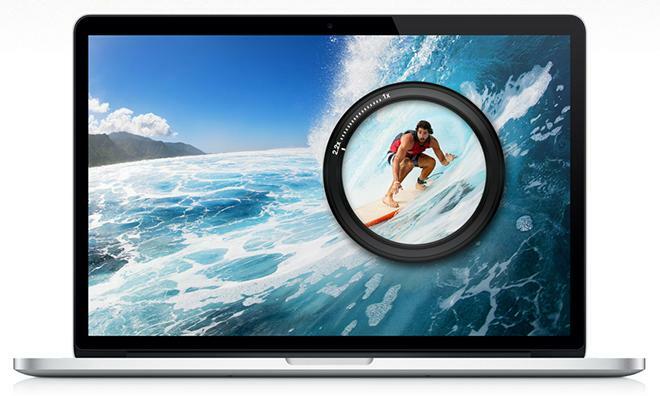 Apple took a similar approach in 2012, when the company opted to discontinue its 17-inch MacBook Pro. That model was replaced by a 15.4-inch MacBook Pro with Retina display, and Apple eventually expanded its "Retina Pro" notebook lineup with a 13-inch model a few months later. Word of a radically redesigned 12-inch MacBook with Retina display was first revealed by well-connected insider Ming-Chi Kuo of KGI Securities last October. He said the new model is expected to sport an "ultra-slim clamshell form factor," which will offer a marriage between the portability of the 11-inch MacBook Air and the greater productivity offered by the 13-inch model. In addition, this week's latest DigiTimes report also claimed once again that Apple is planning to launch a new jumbo-sized 12-inch iPad later this year. This information is viewed as more suspect, as Kuo signaled in February that Apple is unlikely to launch a larger, still-in-development iPad this year. And DigiTimes itself even claimed that Apple had halted development of its so-called "iPad Pro" earlier this month, reporting that the company felt there was a "lack of support from related platform developers and ecosystems" for a larger tablet. That report was from just 12 days ago, meaning the publication's supply chain sources have contradicted one another in a span of less than two weeks.